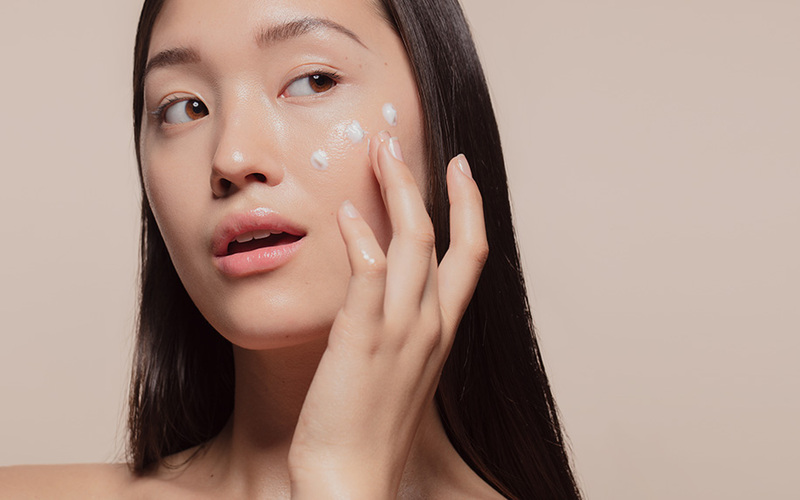 CBD has some great benefits for your skin health, but how exactly does it work? Find out by reading our examination of this natural skin enhancer, here. Is your skin health wearing down your confidence? Acne scarring, age spots, sagging skin, and eczema can happen to the best of us. From prescriptions to creams to gels and ointments, every product claims to combat these issues. You’ve likely tried your fair share. Despite the overwhelming number of solutions available, many people still struggle to improve their skin health. In some cases, these conventional methods may only make your condition worse. If you’ve tried everything in the drugstore aisle and failed or you simply want to find a more natural healing solution, CBD may be your silver lining. 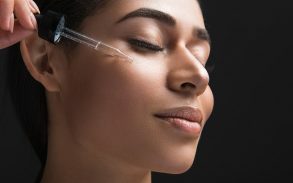 Cannabidiol, or CBD, is becoming widely known for its myriad health benefits, but its positive impact on skin health is among the most surprising. 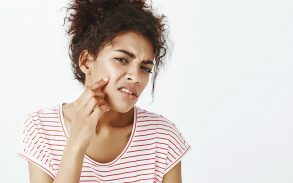 Take a look at what makes CBD a viable option to battle skin health issues and how you can use it in your daily routine. What is CBD? CBD is a natural antioxidant found in hemp plants. The substance is extracted as an oil from the plant’s seeds and stalks. It’s commonly used in lotions, soaps, salves, balms, and oils. CBD is being explored as a natural treatment for a variety of health issues and improvements. Currently, scientists have uncovered anti-inflammatory, anti-seizure, and anti-tumor properties. These discoveries make a strong case for using CBD to improve skin health. One of the most common misconceptions about CBD is that it contains THC. CBD and THC are two completely different compounds. CBD comes from hemp, not marijuana. By definition, hemp must contain less than 0.3 percent of THC to be classified as hemp. Unlike THC, CBD has no psychoactive properties. It’s completely safe to use. However, that’s not to say some CBD products won’t contain trace amounts of THC. CBD oils, edibles, or tinctures may contain both CBD and THC if both compounds are present when the product is made. CBD is a potent antioxidant. It can protect your skin from UV rays, pollution, and smoke. These free radicals can result in fine lines and wrinkles on your skin. Antioxidants help fight these signs of aging. The skin contains many cannabinoid receptors. The molecules in CBD interact with these receptors to create its effects. Because of these receptors, CBD is applied topically to improve skin health. To date, several studies have shown a positive improvement in skin health when using CBD to treat certain conditions. One study showed that hemp oil helped to improve eczema. Another study found that CBD can control the body’s output of skin and hair oils to help prevent acne. The British Journal of Pharmacology published findings that show CBD controlling cell differentiation and growth. These findings make a strong case for CBD’s use to treat skin-related diseases like skin cancer or dermatitis. In addition to combating specific diseases, CBD contains an abundance of minerals, vitamins, and proteins to promote healthy-looking skin. It’s rich in Omega-3 and Omega-6 fatty acids, which support brain health and act as a natural skin moisturizer. Vitamins A and D are already widely used to help with skin repair. They foster new cell growth and inhibit oil production to keep skin feeling supple and soft. CBD contains Vitamins C and E, two powerful antioxidants that protect the skin from sun damage. In addition, CBD’s B-complex vitamins work to build strong skin, hair, and nails. They help prevent conditions such as hair loss and dermatitis. Because CBD occurs naturally, it’s gained the attention of health-focused individuals and scientists alike. Many see it as a natural alternative to traditional skin care products. CBD comes in a variety of forms. Most commonly, it’s an oil you can apply directly to problem areas. It also comes in other topical forms, such as lotions or ointments, or in an ingestible form. If you ingest CBD, it enters the bloodstream and your entire body feels its effects. Because it must travel throughout your body, it may take up to two hours for you to feel its impact. Applying CBD directly to a problem area targets only that specific area. You feel its effects as soon as your skin absorbs it, giving you more focused results than treating your entire body. How you use CBD will determine how it affects you. Nutrition plays an underrated role in the health and appearance of your skin. Because CBD contains vitamins and minerals, you should consider including it in your diet. CBD comes in a capsule form that you can take like a vitamin. In addition, you can add CBD oil to your morning coffee or your breakfast. You can also use CBD oil sublingually. Place a few drops under your tongue and allow it to absorb for 90 seconds. The oil will bypass your digestive system, allowing you to feel its effects sooner. Pure CBD oil is designed specifically for this method. A healthy skin cycle is necessary for healthy skin. Your body has to discard dead skin cells to generate new ones. The endocannabinoid system is crucial to this cycle. It’s responsible for about 90% of cells found in the epidermis. Strengthening the endocannabinoid system fosters a healthier cell life cycle to keep skin looking fresh. Several topical CBD products can help fight the effects of aging. Most of these products are lotions or salves applied directly to the skin. 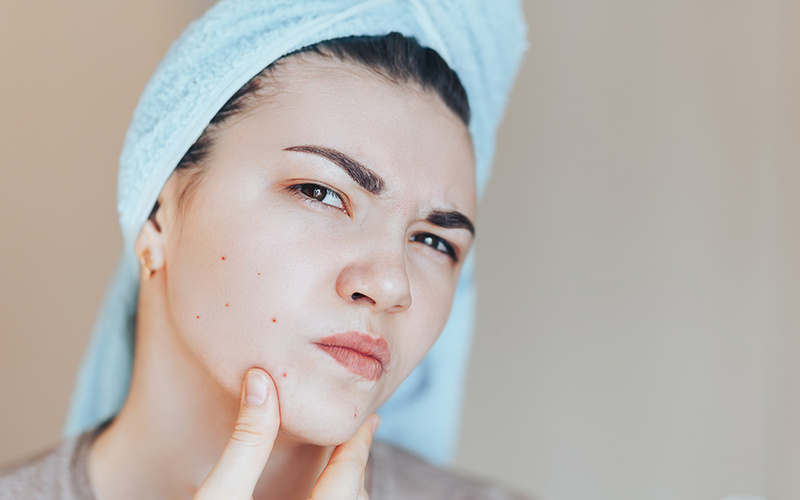 Just like treating age-related conditions, CBD users with acne will get the best results through direct application. Pure CBD oil’s antiseptic, anti-inflammatory, and sebum-reducing properties work to heal and prevent acne. The terpenes found in hemp (pinene, limonene, and linalool) produce antibacterial and anti-inflammatory effects against a common bacterial cause of acne, called Propionibacterium acnes. 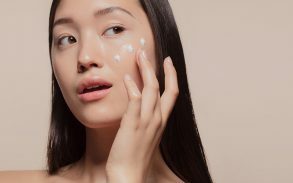 Some users rely on CBD as part of their daily skin health routine. Apply it to your entire face, not just problem areas. CBD oil has been proven effective to treat eczema in humans and pets alike. Tests show that CBD oil can reduce itching, redness, and swelling in individuals with eczema. Apply CBD topically to the affected area to get the best results. If you’re ready to fight back against poor skin conditions naturally, try CBD oil. You can order CBD oil online and have it shipped directly to you or purchase it at your local head shop. Regardless of where you buy it, understand that the CBD market is still in its infant stages. It’s not yet highly regulated, leaving plenty of gaps in quality control. Because CBD is a hot industry, it invited a number of opportunity seekers into the business. Unfortunately, these people have also made the industry vulnerable to shady practices and a lack of transparency. First, consider the extraction method. Some companies resort to cheap extraction methods that use toxic solvents, like butane or propane. Organic, pharmaceutical-grade ethanol isn’t much better, though it sounds more natural. This method can lead to a less potent oil, despite yielding a higher amount of cannabinoids. Supercritical extraction is the purest, most eco-friendly method. It doesn’t compromise oil quality, plus you get a cleaner taste. You need to know where your CBD came from. The species of the plant, where it’s grown, and how it was grown can all affect the final product quality. Cannabis plants are hyperaccumulators. They readily absorb whatever is in the soil, including heavy metals that could be potentially dangerous to your health. You should avoid using CBD oil extracted from hemp that wasn’t grown in food-grade environments. Some companies greenwash their brand to make them appear more natural. For example, a bottle of hemp oil containing the superfood moringa won’t offer any additional benefits versus one that doesn’t. You’d have to ingest a whopping 7,500 mg of moringa to feel its impact, and a dosage of oil contains nowhere near that. Opt for a brand that’s focused on CBD oil, not marketing tactics. CBD may contain trace amounts of THC, the drug responsible for marijuana’s psychoactive effects. Because the amount of THC is so minuscule, CBD avoids legality issues. You can buy it in all 50 states. Using most types of CBD does not affect your ability to pass a drug test. Drug tests only search for THC. If you’re concerned about the presence of THC in CBD, you should thoroughly investigate the product before you purchase it. CBD’s impact on skin health and other areas aren’t widely known yet, but the future looks promising. Research continues to support the claim that CBD should be part of your daily routine. Only time will tell for sure. Read more at: CBD As A Treatment for Acne Wherever it Crops up.